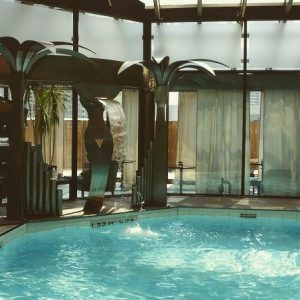 This weekend, I attended a writer’s retreat hosted by SAGE (Supporting Aboriginal Graduate Enhancement) that took place at the Intercontinental Hotel in downtown Toronto. The purpose was for each participant to bring an in-progress writing project and to attend workshops and sharing circles, which focused on themes of indigeneity. Elders Grafton and Dr. Eileen Antone as well as U of T faculty members and a learning strategist provided tips and methods for not only writing but healing a relationship with writing. Often in academia, especially when one gets to the graduate and PhD levels, writing can become mundane and overwhelming. This, in turn, can affect your work. Simply banging out writing in order to get a degree prevents you from fully experiencing and engaging with research, faculty and opportunities for networking and learning. Our learning strategist used the analogy that if you are not balanced, it’s sort of like driving a car with a flat tire. You can still drive on it, but it’s going to be a lot harder to steer. 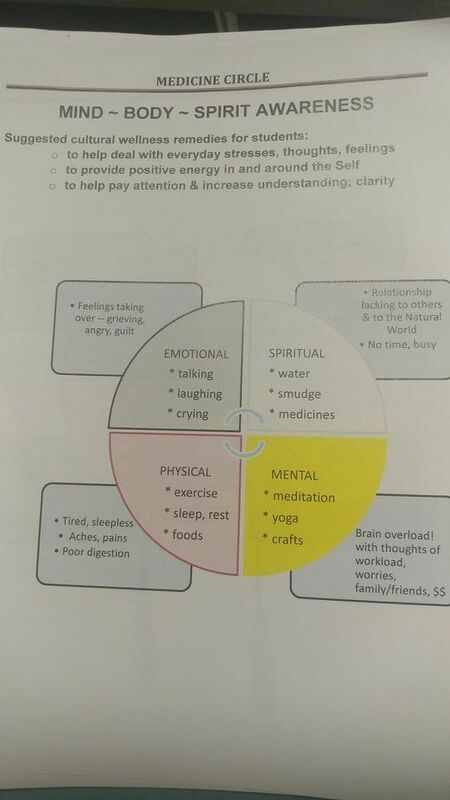 So, applying this medicine wheel to your own stressors and ways to cope with that might be useful in times of stress. Are you tired? Hungry? Anxious? Have you been inside all week with no connections to people or the outside world? As busy as you are, it’s very important to acknowledge self-care. 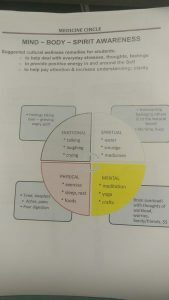 We also participated in some Encourage the Heart workshops, which were physical activity/stretching workshops that helped to ground ourselves as well as work various parts of our muscles and body that tense up during times of stress. These helped to improve circulation and oxygen to the brain: two things that are important when you need to write and are sitting down a lot! The opportunity to speak with the Elders was another amazing experience. We opened and closed each circle with the Ohénton Karihwatéhkwen, or the thanksgiving address and smudged the spaces where we were to discuss. The energy was incredible and helped clear my head for a thorough and productive writing process. In addition, being amongst so many graduate students and PhD’s (7 in total!) was so inspiring. As an undergraduate, you sometimes think it’s impossible to get to that level, and seeing that success first-hand is motivation for wanting to take it to the next step. The weekend ended with an amazing dinner at the CN Tower, which I have surprisingly never been to. Sometimes it’s fun to play tourist in your own city. Anyways, I still have some writing to do – and now I’m ready for it! Good luck with your last week(s) of school!